Mum's calling : Prawing and Fishing! 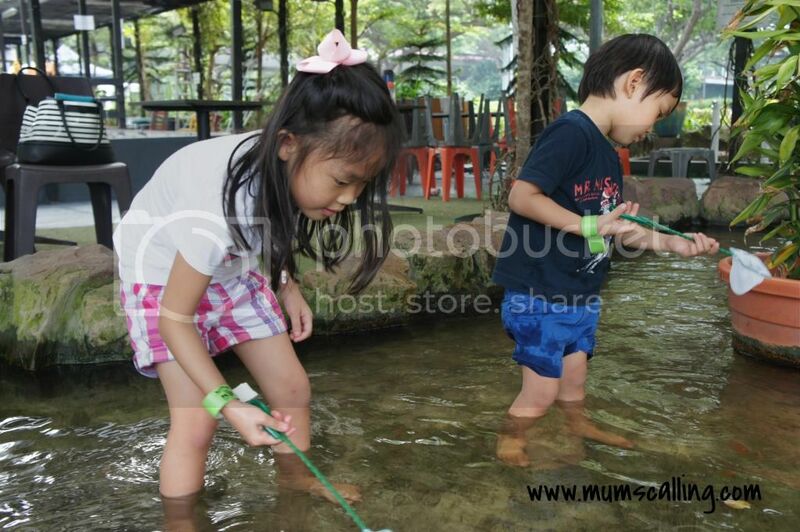 We recently brought ourselves to the patience and perseverance tests - prawning and longkang (drain in Malay) fishing. It's been a long long while since Jazz last did fishing. Read our previous fishing and farm mart experience here. 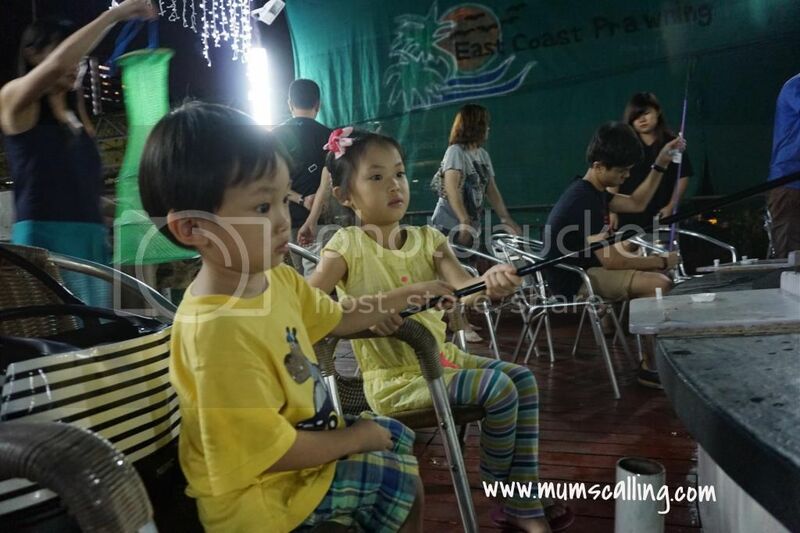 It was an evening after dinner at East coast when I sounded prawning to the kids. It got them really excited and I knew we had to make it happen. We swung over to East Coast Prawning, rented a rod and went baiting for our catch. We talked a little about being patience for a catch and the tugging signs of a target on hook. It wasn't too long before we caught our first victim. We did an hour of prawning, which was a good duration for us. The one rod was fairly transferred among hands with no fuss. We caught about 6 prawns at the end. We tried to BBQ them on site, but the burning charcoal was extremely weak. We couldn't afford a forever waiting time, and the kids were really tired from a long day out. We agreed to leave the prawns for someone else, and left. I spotted longkang fishing there too, and thought of returning another day until I found another venue to fish, Fish @ Big Splash. It looked more appealing, and I wouldn't have to survive with a mobile toilet over at the other. There were many eateries nearby. So, we did fishing another day. Oh man! It wasn't easy. You know how teeny weeny the net was?!!! The kids tried really hard, but somehow not reaping any reward. The fish were very well trained, they swam or rather, magically disappear even before the net touches water. Swift is the key word to net fishing skill. 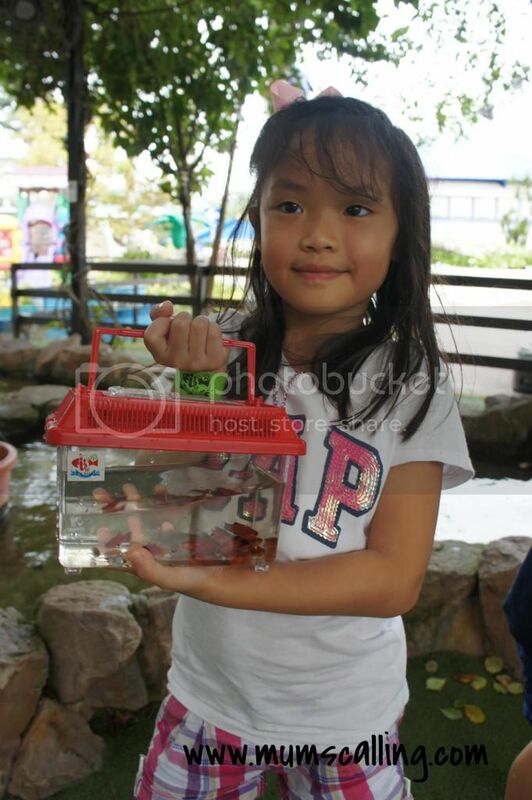 So then, I thought if I give them a fish, I will feed them for a day, if I teach them to fish, they will be fed for life. I taught what I could, even though I had no experience of a fisherwoman. But they caught none! Somehow, skills can't be mastered over a minute or two. Looking at their disappointment and decreasing excitement meter, I decided to ditch my slippers to join them in the pond. I knew it was for ages 2 to 12, but we weren't ready to go home empty tank. I combined both their nets and set like a trap for the fish. Catching became almost easy. I fished almost every few minutes and lucky times, two in my net. Js were excited over my every catch, it got them busy sending the tank to me. Seeing some movements in their tank got them delighted again. Maximum number of fish allowed to be caught was 18. Every fish beyond 18 was at $0.50 each. Nah, I didn't wana pay. Ended our catch at 16 after about 45 minutes before heading for some toast. Longkang fish don't survive too long. We counted 4 dead right after our dinner. Our worried Jazz pleaded to send the living ones to my Gramps' tank for adoption. Which we zoomingly did so. It's clear which activity yields higher success for those little hands. Prawning feels easier to me, but it's slow moving because you sit and wait. It's really moulding patience in here. 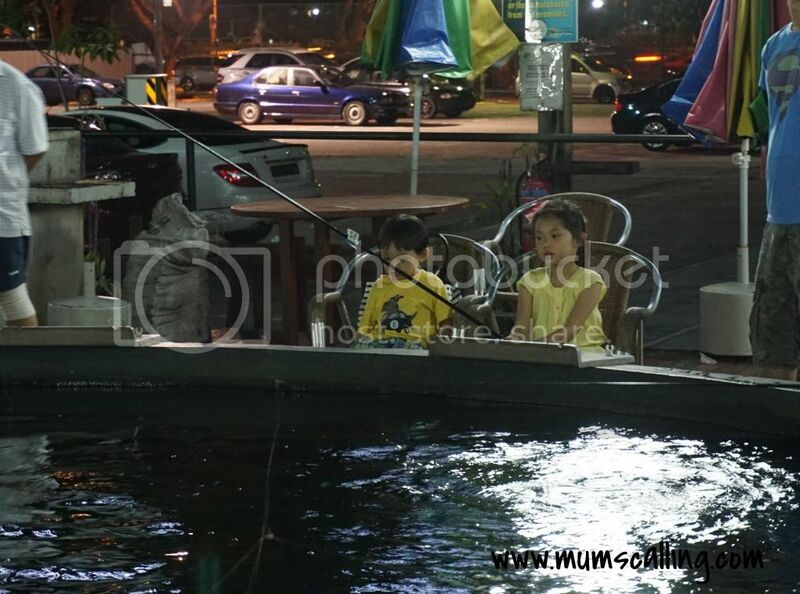 Longkang fishing keeps them constantly busy, but success rate could be zero for very young kids. And we're talking about perseverance here. Though not easy even with a persistent attitude. Nonetheless, have fun with either or both choices! Did you know: I'm not confused with my plural and singular here. We use 'fish 'generally for many fish of the same species, and 'fishes' for different or more than one species of fish.